the MomTog diaries: Quilt LOVE!! My sweet find! 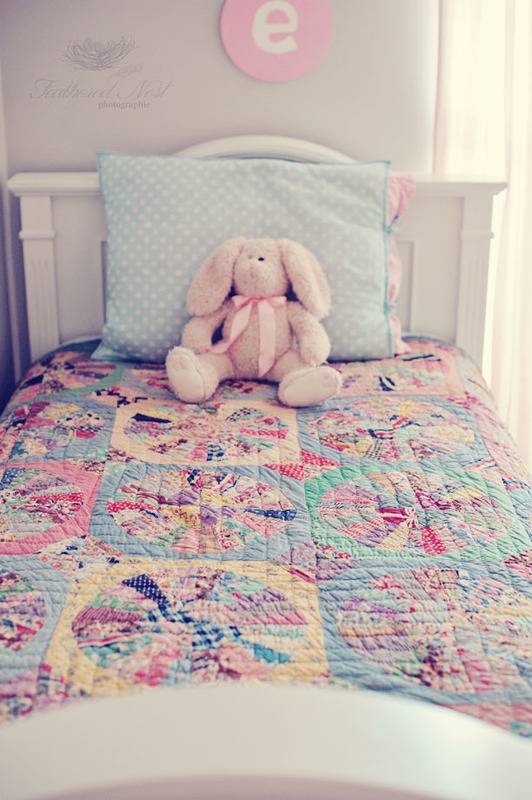 Quilt LOVE!! My sweet find! I've recently taken an interest in old quilts. I love old things in general. Take a look around my home and that is evident in the decor. Old farmhouse shutters over the mantel, an old door leaned against the wall, vintage bundt pans hanging in the kitchen, and vintage crates, dough bowl, metal buckets, milk can, stacks of old books and ball jars scattered around. Not to mention the stuff I have hiding in the garage that my husband just doesn't "get." I find these types of things very charming. I love that they have a history, a story. I wonder who used them? What conversations took place when these things were in their prime? Where some people see junk I see treasures. Antique shops make my heart smile. I know some of you totally get me because your homes probably look a lot like mine, maybe even more so...the rest of you just don't and that's ok. Anyway, I recently decided I wanted some old quilts to decorate with (and for photography purposes) so I've been keeping my eye out for just the right ones...and at the right price of course. I came across this little beauty while antiquing with my mom yesterday and after chatting with the owner over price I was able to get her for a deal! She's dingy but she is beautiful. Ella already thinks she makes a nice fort! 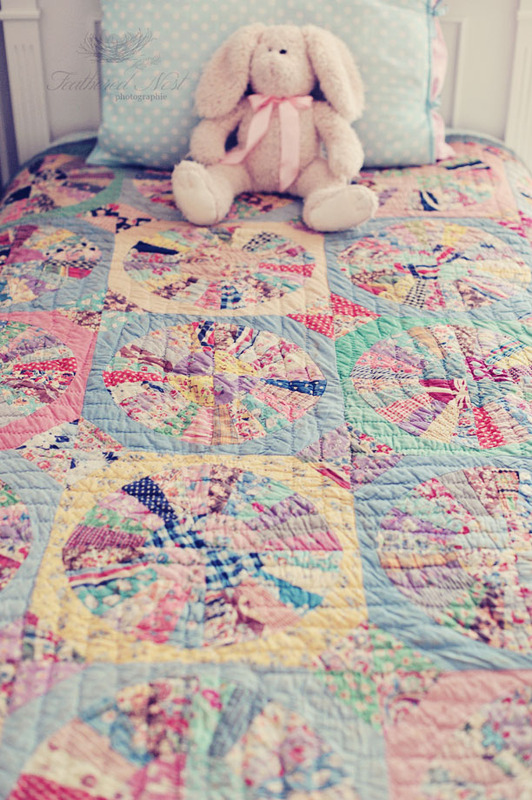 If any of you are knowledgable about quilts I'd love to know when she was made or what pattern she is. My guess is 30s or 40s Dresden Plate...but more intricate than the typical dresden. She looks to be hand-pieced and hand-quilted. A lot of time and love went into this one :) She really looks at home in the girls room. What a beautiful find! Would you mind sharing your wall color? It is a perfect creamy off white & I would love to know what it is! Thank you! 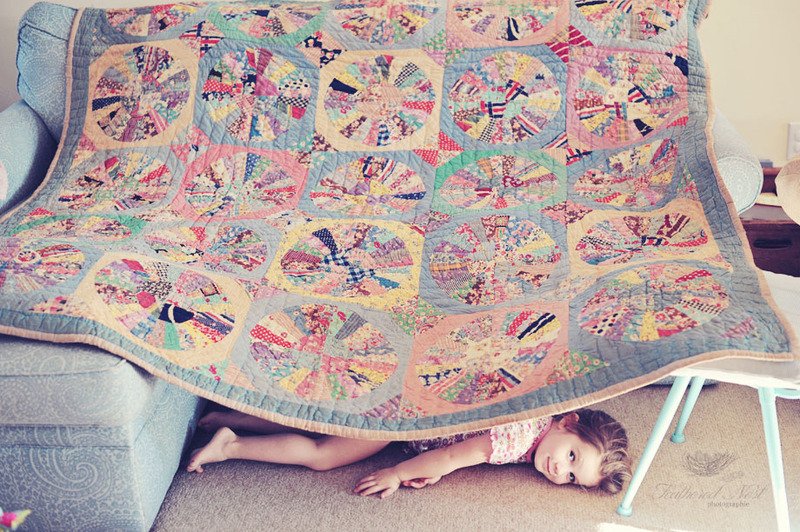 Thank you for sharing this beautiful vintage quilt! It is made up of Fan quilt blocks and set four blocks together to make the circles, Dresden type blocks. An extra half square triangle on each corner of the blocks makes it even more unique and colorful.